Jai Jai Jai Bajrang Bali is an Indian television mythological series, which premiered soon on Big Magic.It is based on the life of Hanuman, the Hindu monkey God who plays a major role in Ramayan, one of India's most popular mythological tales. The show tells the story of Maruti as he grows up in Anjan Pradesh along with his Mother Anjana and father Kesari. 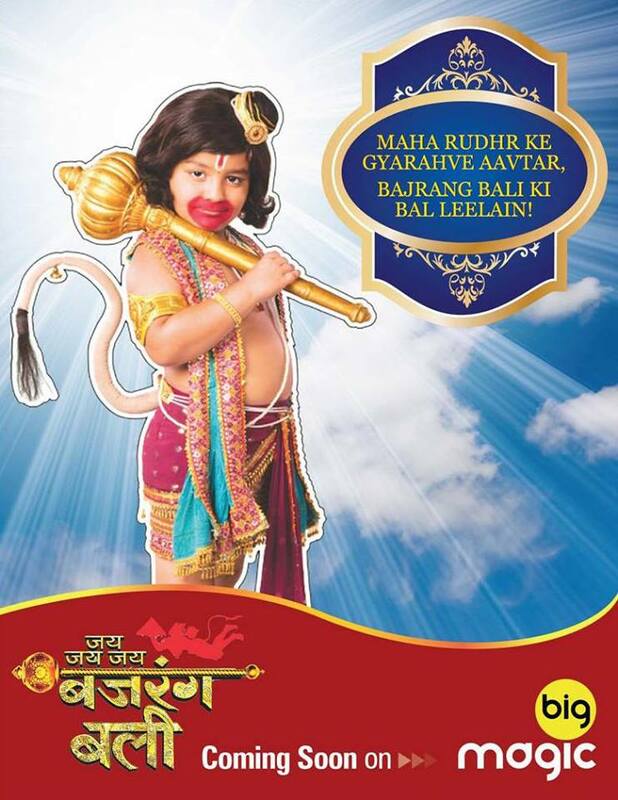 The storyline of the series focuses on Hanuman as the avatar of Lord Shiva. The events depicted are some of the lesser-known mythological events surrounding the trials and tribulations of Hanuman, while he was combating the evil and malevolent forces espoused by characters such as Raavana. Through the course of the show, the makers of the series plan to reveal the miraculous powers and the immeasurable physical strength Hanuman derives from Lord Shiva, which ultimately helps him pursue his noble endeavors and win his fights against all evil forces he encounters. The lead of the show, Raj Mange, won "Best Child Artist of the Year" at the Indiantelevision.com's New Talent Awards.